My name is Benjamin Piouffle, I'm a fullstack developer graduated from the French school Epitech. I also studied for one year abroad at the California State University of Long Beach (USA). I am the founder of CaptainFact, a nonprofit dedicated to bring collaborative, real-time fact-checking tools to citizen, medias and education. I have founded and worked on other civic-tech projects that you can find in the Projects section or on my Github. Internet is filled with rich and abundant data. Information travels fast and we don't have the time to check that everything we see and hear is correct. CaptainFact is a social platform that allows people to debate and help each other to verify that data by sourcing it, voting and chatting about facts. Et si demain... is a citizen debate platform intended to help New Caledonia to think and discuss about 2018's independence referendum. It is build around short videos (< 30s) where speakers must develop a single argument, idea or question. A team of journalists is working to source citizen's contributions, making sure arguments are built upon facts. The project is born during Noumea's first Hackathon with a team of two journalists, one motion-designer and myself as a developer. It is now involving two different news organizations and will be released to the public in January 2018. A website to present “Edza Films”, a french audio-visual association with members such as film directors, sound engineers, cameramen and other creators I was happy to work with. The team can upload pictures, videos, post news and manage a lot of content directly from the website. Python script and library to control Magic Blue bulbs over Bluetooth. These are probably the cheapest RGB light bulbs you can find on the market but no official API exists and they're not documented anywhere. This open-source project consist of the reverse engineering work to bring all the features from the official mobile application in some easy to use and well documented Python scripts. Numvision is a company located in the south of France that provides files backup and synchronisation solutions for companies. My work mainly consisted of improving the main company's product “Numsync”, creating a REST API and automatizing the build of mobile applications. 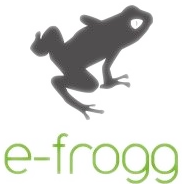 Internship at E­Frogg, a web agency. Development of a SEO analysis tool and work on various websites.